First Title Insurance plc is a UK regulated insurer and part of a worldwide group with revenues in excess of $5.2 billion. First Title Insurance plc offer a wide range of cover from standard defective title policies through to bespoke portfolio and mortgage lenders cover. 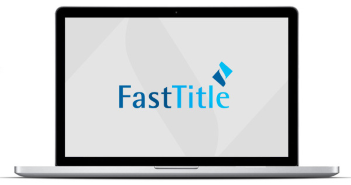 First Title Online offers a quick and convenient way to obtain quotes and issue policies however should the risk be non standard or require bespoke underwriting please contact us and we will arrange an Underwriter to quote or contact you. First Title On-line is a service that enables you to quote, draft and issue a fully underwritten policy from a choice of over 50 known residential and commercial risks. Using First Title On-line gives you the benefit of a 20% discount compared to off line prices. Furthermore Residential risks can be combined within a single multiple risk policy for additional savings of up to 25%. Over 50 commercial and residential known risks covering both continued use and development. Good Title/Mortgage Lender policies give a title guarantee against known and unknown risks on a portfolio. Consequential loss on infrastructure/grid connections, de-commissioning costs etc.